A multicultural and ethnic design, enlivened by flashy, modern and jolly colours... 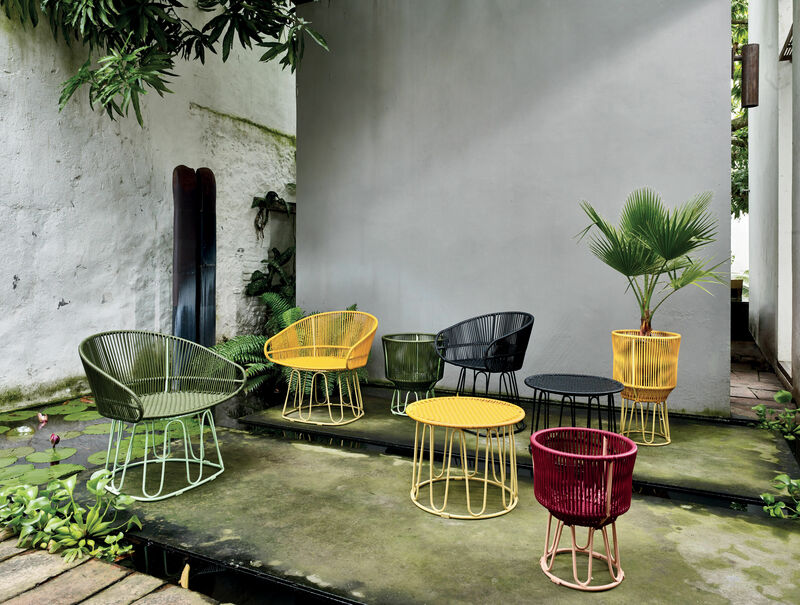 The German designer, Sebastian Herkner, has created a colourful furniture collection, inspired by the creative language of South America. 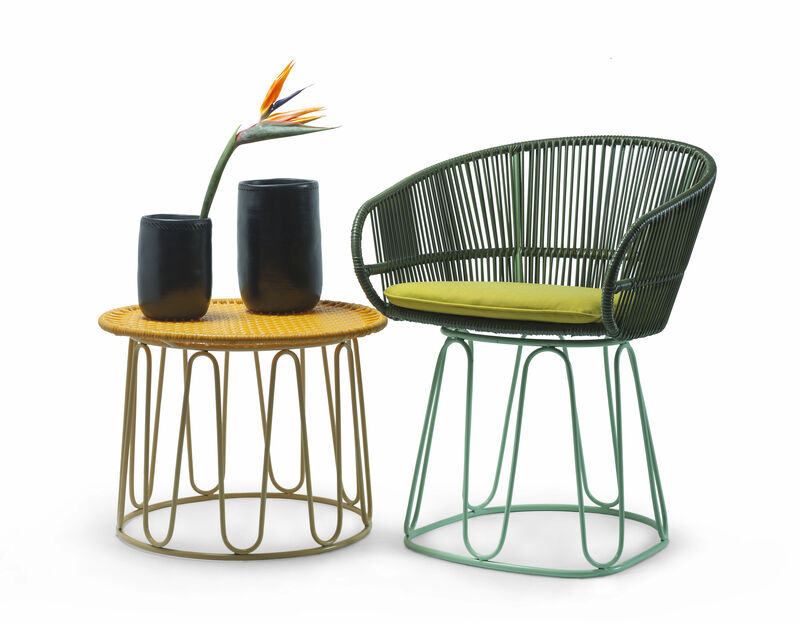 The Circo collection is made completely by hand in Santa Marta, on the Caribbean coast in Colombia. Rafael and his friends weave the threads of recycled plastic by hand according to a traditional technique from their region called "Momposino". 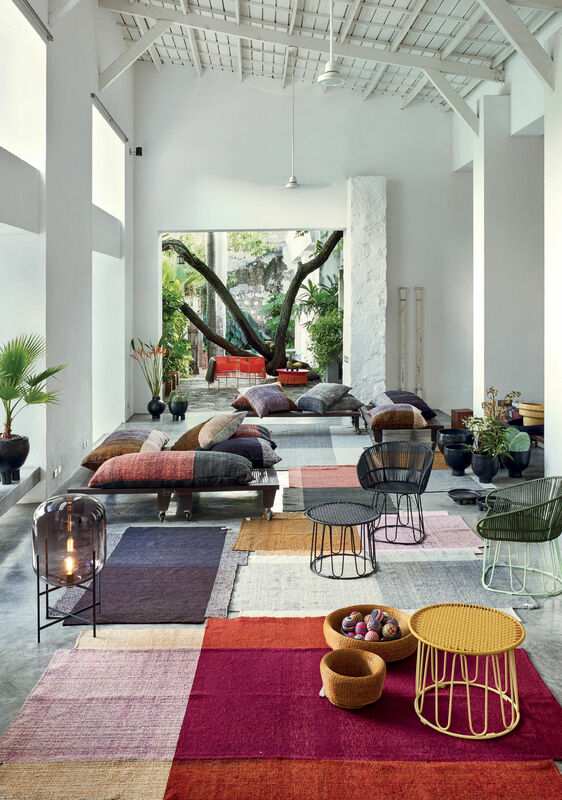 The combinations of light and fresh colours are inspired by the liveliness of the Caribbean coast. The fine steel structure displays undulating and sinuous lines. The result is staggering: this collection is, at once, exuberant, rich in humanity, modern, colourful and full of vitality. A treat for the eyes and an invitation to travel... This creation's DNA consists of tradition and modernity, innovation and history and form and beauty all at once. 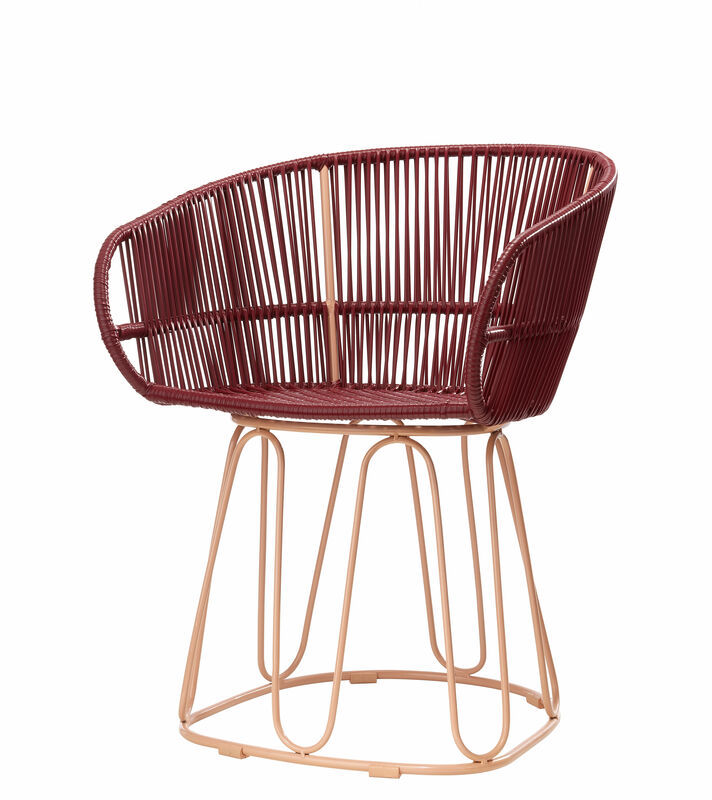 The Circo collection is from the Sala project, born out of a journey to Colombia that the designer Sebastian Herkner took. Concerned with bringing originality and authenticity to his creations, he met local craftspeople who were able to preserve and pass on a real expertise and traditional production methods over centuries.